عندما تزور بيمبيرتون, ستشعر أنك في بيتك في Forest Lodge Resort الذي يقدم لك إقامة متميزة و خدمات عظيمة. يقع مركز المدينة المثير على بعد 2 km فقط. يوفر الفندق بفضل موقعة الجيد وصولاً سهلاً إلى أهم معالم المدينة.
. كما يقدم Forest Lodge Resort الكثير من الخدمات لإغناء رحلتك في بيمبيرتون. تتضمن الميزات الرئيسية في هذا الفندق: واي فاي مجاني في جميع الغرف, تسجيل وصول/خروج سريع, تخزين الأمتعة, واي فاي في المناطق العامة, صف السيارات. استمتع بوسائل الراحة الراقية في الغرف أثناء إقامتك هنا. بعض الغرف تتضمن تلفزيون بشاشة مسطحة, سجاد, اتصال لاسلكي بالإنترنت, اتصال لاسلكي بشبكة الإنترنت (مجاني), حوض الاسترخاء لمساعدتك على استعادة طاقتك بعد يوم طويل. يمكنك طلب اللائحة الكاملة للخدمات في الفندق ومن بينها حديقة. اكتشف مزيجاً ساحراً من الخدمة الاحترافية والخيارات الواسعة من وسائل الراحة والمتعة في Forest Lodge Resort. Certainly not your typical hotel. More an oasis in the woods. Our kids couldn’t stop watching kangaroos. We loved the delicious breakfast. Highly recommended if you are after a unique countryside experience. Thanks dear Ingo & Kristin! Rustic feel, but clean rooms and living room. Waking up in the morning with many kangaroos hopping in our front yard and backyard was a highlight of our trip! Breakfast seemed pricey, and so were the markups if we took snacks or left dishes uncleaned etc. Board games and DVDs were free to borrow, though. My partner and I only stayed the one night around new years Eve, there was only 1 staff member at the time but he was extremely accommodating and helped us out with everything we needed, even opened up the bar for just the 2 of us because no one else was around! The establishment was well presented with classic, classy, and clean rooms and beautiful natural timber finishings. To anyone looking to stay in pemberton we would highly recommend this place. 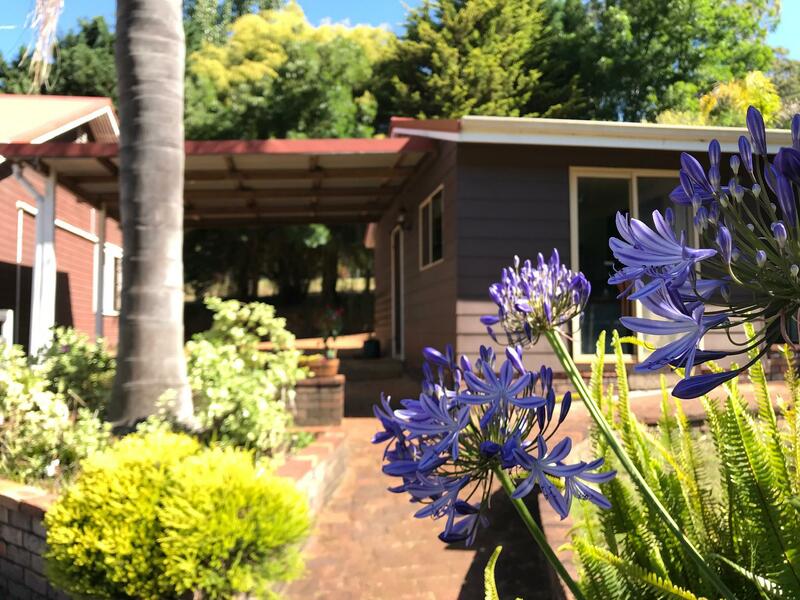 Perfect location in Pemberton - just 2 minutes drive from the small town centre where you have a small bakery, artisanal butter, IGA supermarket and Liquor Baron for those that love your beer/ wine. We bought some steaks and lamb chops and had a wonderful BBQ at the gas-powered BBQ. Bring your own seasoning, meats, veggies but tongs are provided. 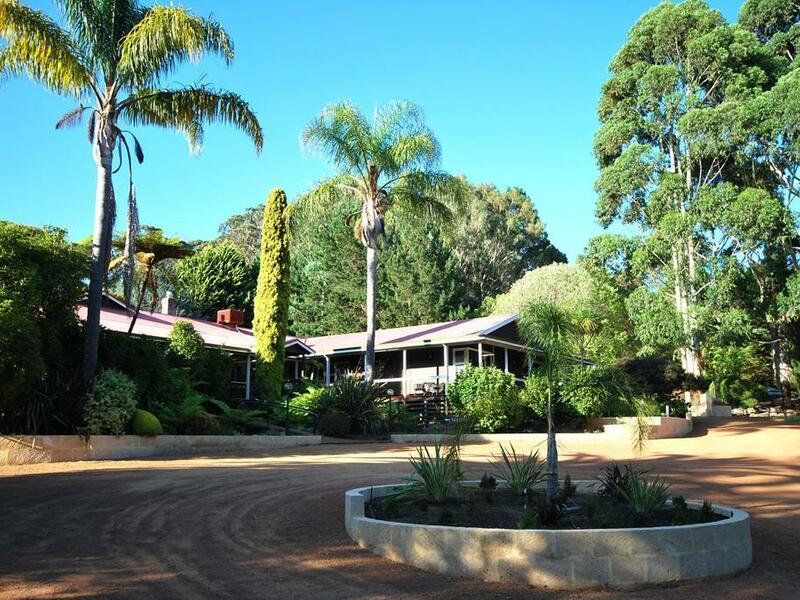 Amazing wildlife surrounds the property as well - plenty of birds and kangaroos! We also enjoyed walking around the lake, its also stocked with rainbow trout for those that enjoy fishing. Lovely place with kangaroos roaming freely (not tame though...). Quiet and totally detached from the hustle and bustle of life. If you have kids who are afraid of the dark, the cabin is pitch black on the outside once night falls. Staff at the front counter was clear and super friendly. Would definitely choose to stay here again if i'm in Pemberton! We stayed 1 night at pemberton and absolutely loved the forest lodge resort. Its is only a 1 minute drive from town. We obtained a walking map and had a lovely hike to the Gloucester Tree. There's a lake on sit and a lovely gazebo where you can just sit and gaze the afternoon away. We did not have the breakfast on site as we visited the Millhouse cafe that served amazing food that was a short 2 min drive away. Would recommend this place to anyone who intends to visit pemberton! 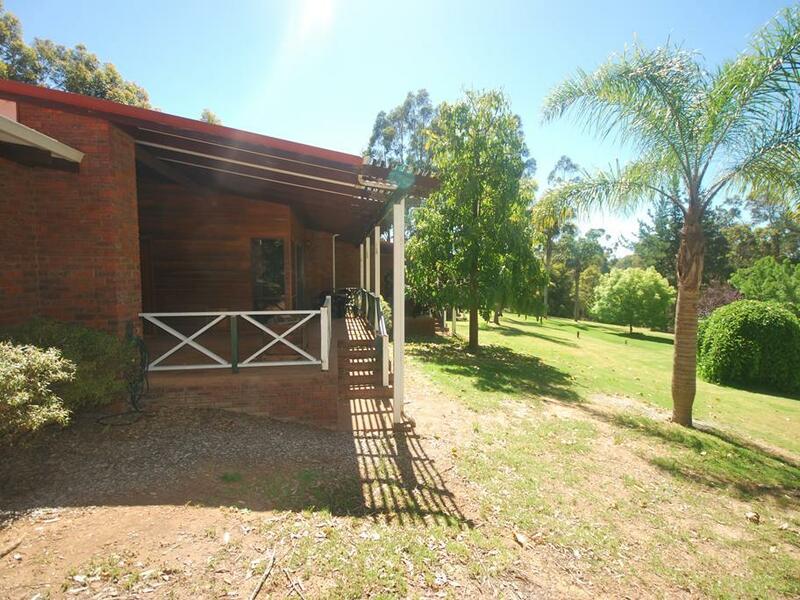 Pemberton is a peaceful location in the centre of an agricultural and wine producing area. It has a history steeped in the timber trade. The Forest Lodge Resort was a great place to stay. Accommodation was clean, close to facilities, also central to everything in/around Pemberton. Great for couples or families too! Wonderful grounds, room had everything we wanted and more, bed heater was appreciated. Everything clean and tidy, easy parking, and easy to sign in after hours. I didn't try any of the meals so I can't speak to the cooking, but the location is good, right outside Pemberton. 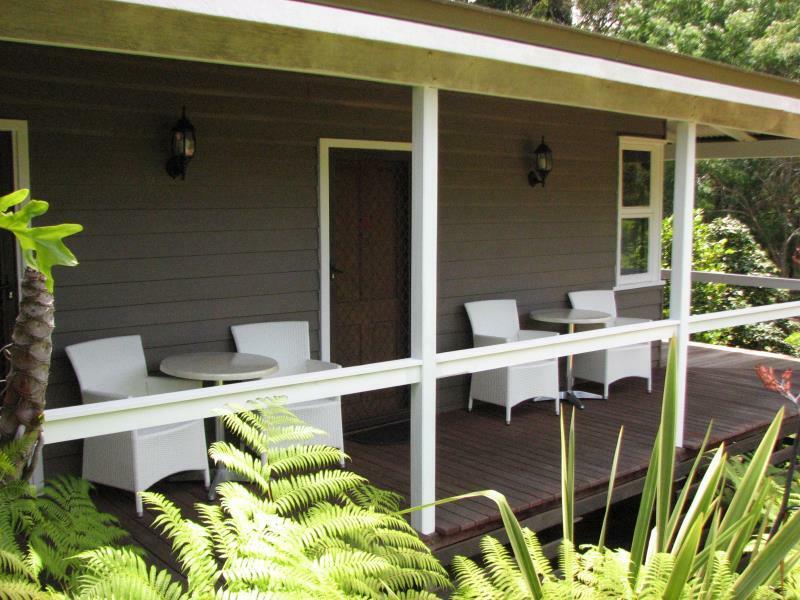 This lodge is nestled just out side or Permberon surrounded by vineyards and lovely country side. 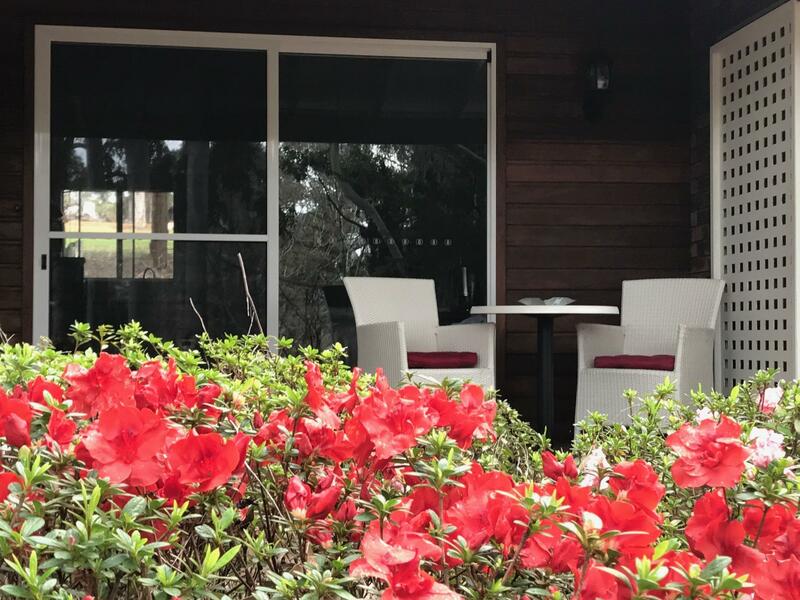 25min from Manjimup it's close access to the Truffel festival in the winter. More of a lodge than a resort. 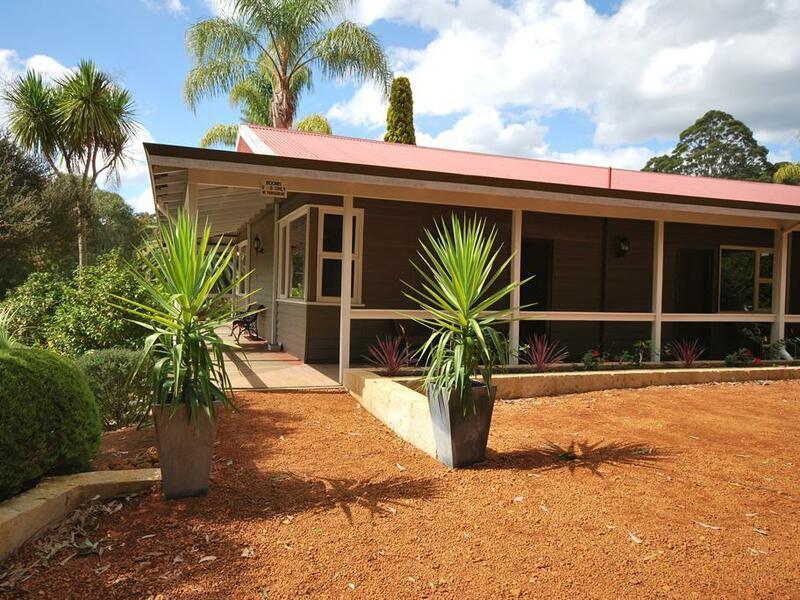 It has a dining room open for functions only and a lovely garden and pond. Rooms are ground level and semi detached with parking outside your room. Tidy and well equipped. Staff were friendly and helpful. Our room was small and rather shabby, also very dark. We asked for another room but were told all were occupied which was hard to believe as the whole complex looked almost deserted. The Price for breakfast is horrendous, 26,-dollars and that is for a cold breakfast. If you want a hot one you pay 10,-dollars more. Our „spa room“ bath was tiny and very aged. The only thing really Goodman’s the very large kingside bed which was very comfy. The grounds are rather well kept and in Pemberton there is a very good restaurant in the hotel next to Best Western. If you decide to rent one of the larger apartments, you may have more luck. the location is good and the room is small but sufficient for couple. the bathroom has heat light to keep warm during cold weather. the surrounding has wild kangaroos parrots and birds to keep your evening walk company. if you need a rest point for Pemberton stop can consider this lodge ! Clean and comfortable. Would stay here again if in the area. Amazing 2 cabin lodge, view was fantastic. Got to watch a kangaroo with a Joey in its pouch feed on the lawn from our balcony. 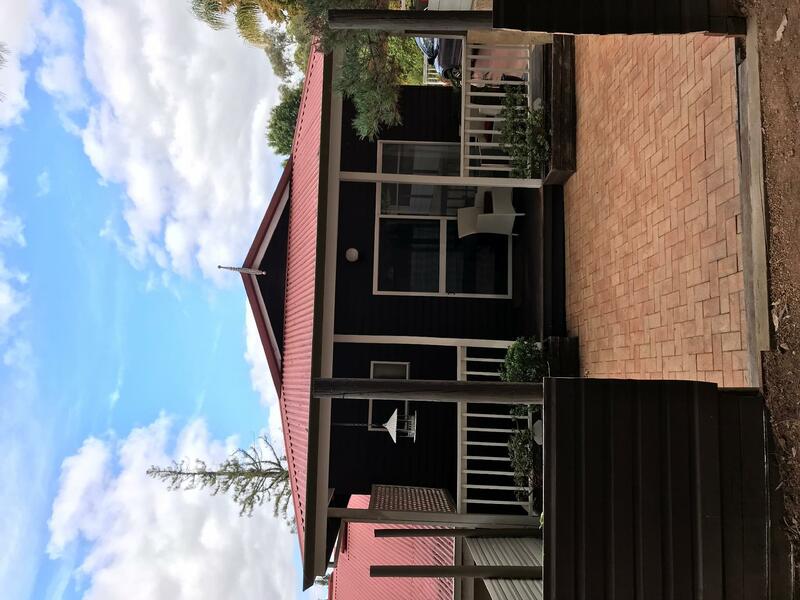 Very beautiful resort which is located in forest, The view is very nice just outside my room, sometimes I will able to see kangaroo walk pass outside my door, haha, so cute! Good stopover for beach lovers and short drive to the National Parks. very nice property. looks a bit old, but very well maintained. very old school and cosy in the winter. Could not fault this property. Very good value for money. I have no hesitation in recommending it.